Fitness and Food aren’t always separate: they overlap heavily. 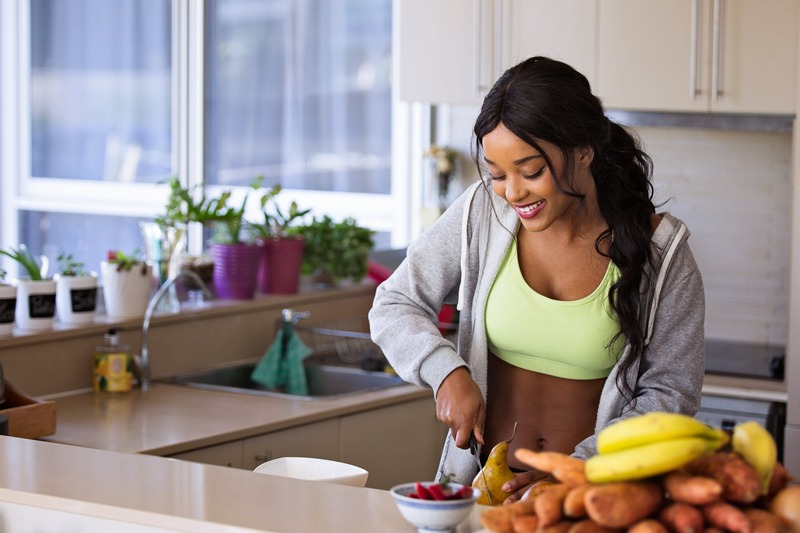 If you’re looking to put together a good performance in a cross-training style, or you’re simply looking to balance resistance training with HIIT in your routine, you need to consider how you fuel your workout. HIIT functional training – from CrossFit to traditional Strength and Conditioning – comes with a wide variety of needs. Preparation is key to performance, both in your equipment and your nutrition. The foods you eat play a key role in the way that you perform – both in the short- and long-term. This means that your bad workout could be the result of what you’ve eaten and drunk. But it also means that you can improve your performance by changing these variables! While we always promote relying on complex carbs as a staple part of your diet, the time for simple carbs is before and during training. Their rapid-absorption that usually makes them a problem is exactly why they are going to improve your performance. Being well-fed for exercise is crucial to keep your performance up. Exercise-induced ketosis is what happens when you run out of glycogen in the body – and it comes with a drop in performance. Feeding on simple carbs in the 30-45 minutes prior to exercise is a great way to fuel up for maximum performance. Especially important for strength training, sprints, and HIIT. Caffeine is often used irresponsibly when exercising. While many people are mega-dosing caffeine in pre-workouts, there are easier ways to handle your intake and improve the results. Firstly, make sure that you’re not over-tolerant. This is what happens when you consume caffeine regularly – at a high level – and develop a resistance. Take some time off to start with and try to focus on sleep quality and nutrition first. Then, after a week or two off of caffeine, focus on consuming it at most twice a day: in the morning (if you need to, as coffee), and 30 minutes before a workout. Caffeine has a 4-6 hour half-life, so try to limit your intake and only use what you need to – or it’ll impact on your sleep! How do Supplements Play into Workout Performance? There are very few dietary supplements that are worth your money. Aside from crucial supplements such as cod liver oil and vitamin D, you want to approach performance supplements with a general scepticism. A good diet covers 95% of your bases – it’s only when it comes to being better-prepared that you should be worried. Creatine is misunderstood, but a great way of improving your overall performance and health. As a supplement, it has a long history of being used to improve strength – especially during repeated efforts. However, you probably haven’t heard about the health benefits, from reduced cell-death risk to improved hydration. Another rare, great example is beta-alanine. This is a simple amino acid that can increase your time to exhaustion – a key part of endurance training. If you’re looking to improve your heart and lung health, or train for better stamina, this is a great head start to your progress and wellbeing. Citrulline is less-effective than the two mentioned above, but you’ll often find this ingredient in other blends and powders. This is a supplement for heart health, with important benefits to your workout performance and recovery. Again – this is far from essential, but it is a nutrient that will improve your ability to recover between sets – whether that’s weights or shorter runs. Your recovery from one workout to the next is crucial – it’s how your body gets stronger and recovers. Processes that build up muscle and make you stronger, faster, or improve your endurance are all reliant on recovery. Recovery itself is driven by the food you eat. This starts with your post-workout feeding. While a lot of “gym bros” think that you’ve got 30 milliseconds until the “anabolic window” closes on you, it’s actually not a huge deal. You just need to make sure you’re eating a high-protein meal as soon as possible after training. If you eat your pre- and post-workout meals less than 6 hours apart, you’re on the right track. After this, you should also focus on “switching off” and reducing your overall stress. This is a part of recovery and progress we don’t talk about often: returning to a relaxed, restful state after intense exercise is crucial to mental and physical health. Hydration and green tea are the two best tools for this – you can combat the physical stresses of dehydration, as well as improving relaxation. Hydration also plays a role in your recovery between workouts, but perhaps not how you think. For most of us, the main purpose is to combat dehydration: more people are dehydrated than you might expect and reaching optimal water-intake is a crucial part of keeping your physical and mental health in good condition. It can make or break a workout! The best diet is the one you can stick to – a fad or yo-yo diet will never be the answer to your health or fitness goals. With that said, it’s important to note that you can improve your workout with nutrition, but it’s not as simple as a single food here or there. Everything you eat and everything you do contributes to your performance – it’s why elite athletes treat their entire life as a recovery and improvement process. While you don’t need to eat and sleep and live like an Olympian, we can learn from their lifestyles to get better. Treating your food as fuel and a key piece in the puzzle of achieving your goals is a key way of getting better for CrossFit, Strength training, and HIIT workouts. If you’re trying to get better or have stalled, look to the fuel you provide your body!